Among other things. They can also see through you when you’re launching a campaign to move to the cloud, for the ‘wrong reasons’. 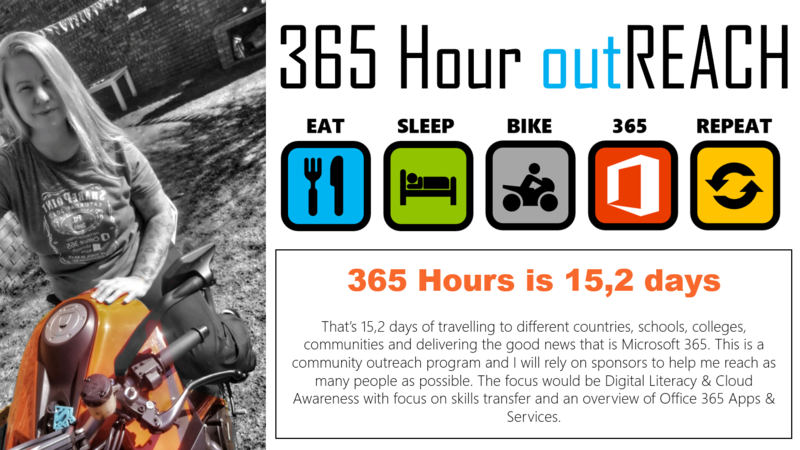 Let’s take a look at reasons for moving to #Office365 and how I reckon you should approach it. Company X has decided to move to the Cloud and of course decided on #Office365. When asked why the company is moving to #Office365, the answer is “To save money”. User gets email with URL to Office.com & URL to Office 365 Training Center. IT sits back, thinking their job is done, waiting for the masses to adopt Office 365 and sing their praises for making such a clever decision. Management wants to know why the consumption is so low. Company X has decided to move to the Cloud and of course decided on #Office365. When asked why the company is moving to #Office365, the answer is “To empower users”. Approximately 8 weeks before switch, start with a digital literacy campaign. Communicate to users that the company has embarked on a journey to invest back in their most valuable assets, their users. Explain that in this new digital world, we need to be equipped to not only be efficient, but also be digitally safe. It’s important that each user becomes a digital citizen. The only way to achieve that is through training and awareness campaigns. 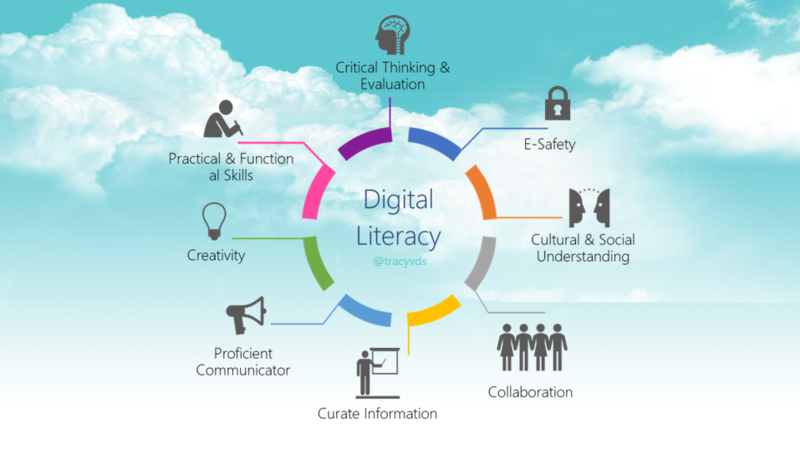 Over an 8 week period, communicate the 8 pillars of digital literacy (1 each week), what they are and why they are important (posters, flyers, emails, newsletters from Intranet). Collaboration: How to use Teams / OneDrive / SharePoint to collaborate & communicate better, as well as contribute on a cultural an social understanding level. Creativity & Curation of Content: How to use Stream, Sway, Forms, PowerPoint, SharePoint News to be more creative. Critical Thinking and Evaluation: Using Excel, Flow, PowerApps, Power BI, Planner and column formatting in SharePoint to evaluate data and make better decisions. Etc. You should get the idea now. Give them a “Digital Passport” notebook that gets stamped every time they attend a session / training that addresses one of the skills and gamify this. 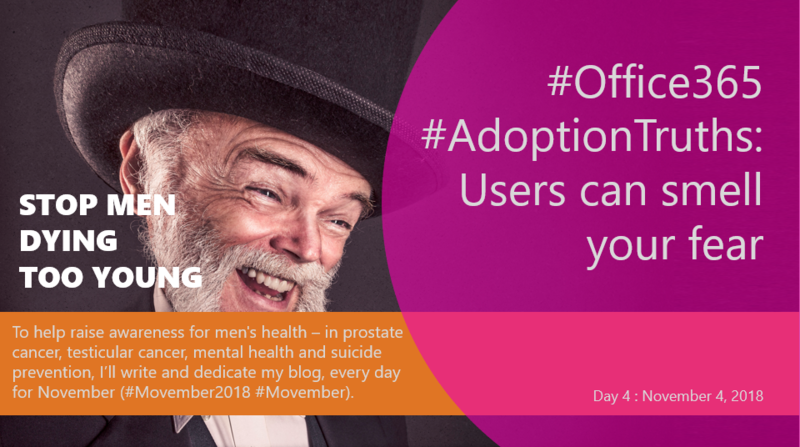 Adoption is successful when you first create the need (awareness). This helps users understand what is lacking and why it’s important to have those skills / tools. Then add the solution (product / app / service). 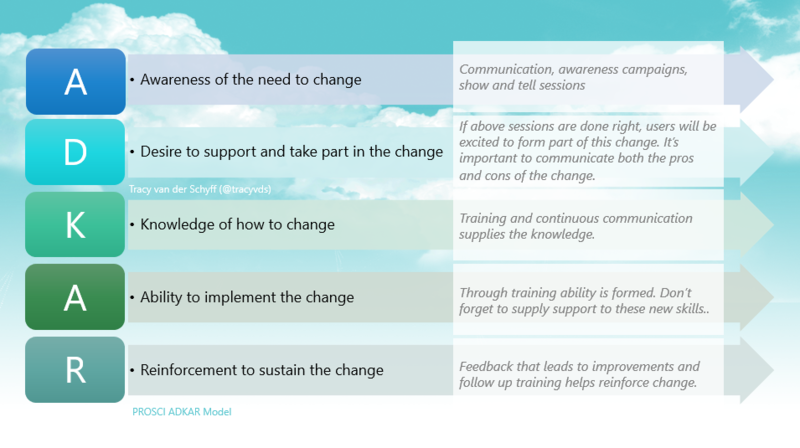 You’ll see that this approach is fully supported by the PROSCI ADKAR model, and is the easiest Change Management Methodology to follow. Watch what you say, stop saying you’re doing this to save money. And if you truly believe that’s the only reason, then get someone else to do the talking, you shouldn’t be allowed to speak to users. The only reason we’re put on this earth is to help people, getting rich from it or saving money is a bonus, pun intended. Make it clear that we’re doing this to help people and be sure that your team of people are fully trained to understand and support the product well. Because believe me, users smell fear (inadequacy) and they know when you’re trying to sell them something, that’s not really for them (they’re not the real priority). Scenario 1 happens all too often. If you’re organisation is moving to Office 365, you’re not moving to ‘just another Office upgrade.’ Where if you ignored adoption and change management, people would continue to be ‘productive’ using the same old features and ignoring the new ones. You’re moving into an environment that quickly shows the level of Digital Literacy in your organisation. That environment will continue to deliver incremental changes to even the basic features and requires understanding, not just clicking. Tracy, I like that you have expanded Scenario 2. Organisations who want to be innovative need to encourage a culture of change. Change management becomes a perpetual need and importantly, we need to bring up the level of Digital Literacy in all of our people. Great post! More, more, more! Please?